Aishwarya R Dhanush's first directorial venture was 3 starring her husband Dhanush and Shruti Haasan. 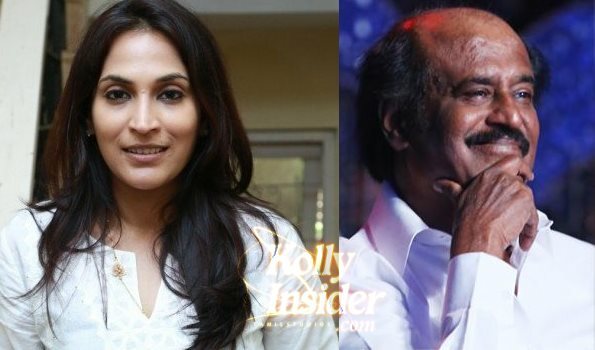 She is now ready with her second film Vai Raja Vai that is said to be a commercial thriller. This film features Gautham Karthik, Priya Anand, Taapsee, Vivek and many others. Yuvan Shankar Raja has scored the music while Velraj has done the cinematography. The film is all set to hit the screens soon. Talking about how she managed home and profession, Aishwarya says that her mom plays a major support system in her life. She was the one who took care of her sons Yatra and Linga when she was away shooting. She also adds Dhanush is very supportive of her work and encourages her all the time. When asked if she would direct a film with her dad Superstar Rajinikanth as lead, Aishwarya says, "I am yet to be that experienced to direct appa. Let me first do many films on my own. Till such time, I will enjoy appa's films as his fan".